Elleston Trevor (17 February 1920  21 July 1995) was a British novelist who wrote under various pseudonyms, including Adam Hall and Simon Rattray. 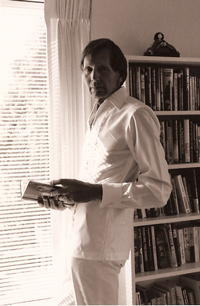 As Adam Hall he wrote the Quiller espionage novels. His best-known work as Elleston Trevor is The Flight of the Phoenix, the basis for the 1965 film of the same name. Under the same pen-name he also wrote Squadron Airborne, depicting a week or twonote time enough for many of the named characters to die, including at least one who had only arrived in the middle of the book in the life of an RAF fighter squadron during the Battle of Britain, The Big Pick-Up, about a squad of British soldiers retreating to Dunkirk in June 1940, and Bury Him Among Kings, a World War I novel about the Sibling Rivalry between two brothers fighting in the trenches.